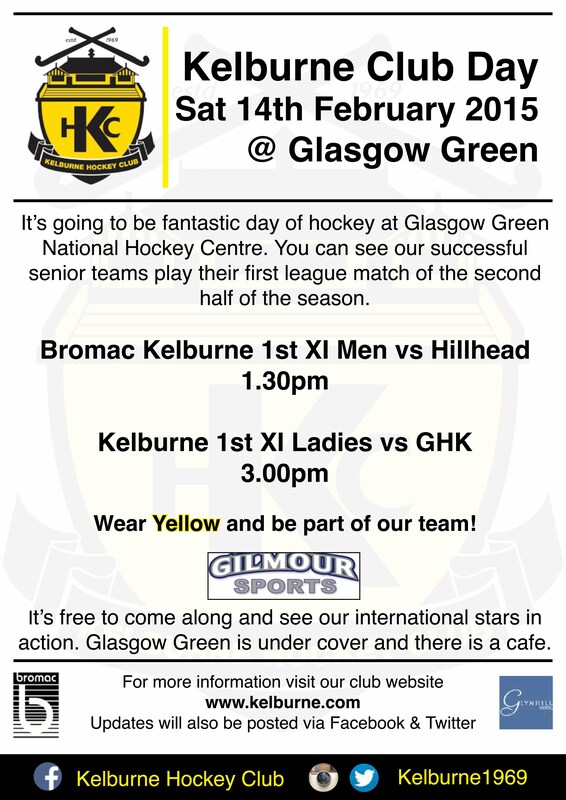 It?s going to be fantastic day of hockey at Glasgow Green National Hockey Centre. You can see our successful senior teams play their first league match of the second half of the season. Wear Yellow and be part of our team! It?s free to come along and see our international stars in action. Glasgow Green is under cover and there is a cafe.